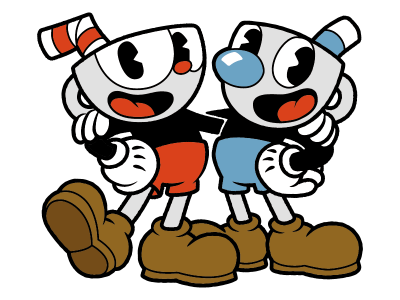 Cuphead - BN Licensing B.V.
Cuphead and Mugman, a couple of kind-hearted, happy-go-lucky, yet mischievous brothers, have found themselves in a precarious predicament: They’ve gambled with the Devil …and lost! The only path to freedom for these two unlucky chums is to carry out the Devil’s bidding. To do this, they must traverse the magical and wondrous Inkwell Isles in the hope they can strong-arm every one of the Devil’s debtors, forcing them to sign over their souls. Cuphead and Mugman have suddenly found themselves to be the Devil’s unwilling henchmen, all at their own misfortune!